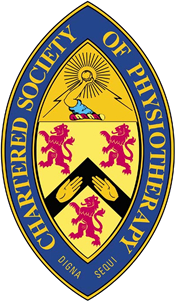 Whatever physiotherapy treatment you are looking for, Physio Wellbeing provide it. Our professional clinic provides a whole range of remedies and techniques that can help alleviate any injury or pain. Which one we recommend for you is dependent upon the condition that you are suffering from and where it is located within the body. Our deep hands-on massage works to release soft tissue tightness whilst re-aligning and re-orientating any scar tissue that may have manifested from injury of surgery. This is known to limit overall function and by manipulating this, we can free up movement and help to lessen discomfort. There is often no way of preventing this scar tissue from accumulating in the body. Inflammation is part of the healing process but very often the body is over-sensitive and produces more additional tissue than is needed. This gets deposited around the body and becomes more adhesive as the injury heals. These eventually turn into internal adhesions which can restrict blood supply. With the blood flow reduced, soft tissue begins to suffer and becomes tight. Not only can this be uncomfortable but it can lead to further injury in the future. Our deep soft tissue massage makes the adhesions less tenacious, allowing the blood supply to enter and the function to be optimised. Scar tissue is also lessened and the area strengthened. This provides a way of lubricating and freeing up the joints, clearing up inflammation and providing the area with far more flexibility. Swelling can be reduced as well as pain and stiffness. If it appears that your body will benefit from overall re-conditioning then we will formulate strength and conditioning programme for you. This will help to improve overall performance, improve core strength and prevent unwanted stresses. Further damage and injury in the future can also be avoided. Things like bad posture, poor habits when sitting or poor lifestyle management can all create problems within our body. 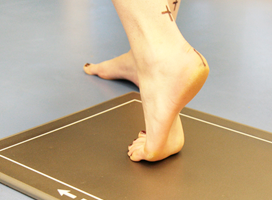 We provide both postural and lifestyle advice to get you going in the right direction. Get in touch now to get your Physiotherapy Treatments scheduled.